Provide a fresh, clean and comfortable stay for your guests every day. Our personal hygiene, surface cleaning and sanitising products can help your team to quickly take care of the cleaning details so you'll have more time to make your guests feel at home. Deliver the service and ambience you aspire to with napkins and tableware combinations that complete your theme. 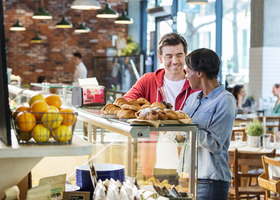 Whether you're serving quick snacks, just drinks, or five-course meals, we can save you time and money with products that deliver the efficiency and functionality you need. Keeping your kitchen, restaurant, bar, or café hygienic and looking fresh is easier with wipers and cloths made for the job. From front of house wiping, to back of house cleaning, our purpose-made wipers and cloths can help you quickly tackle any task with confidence. 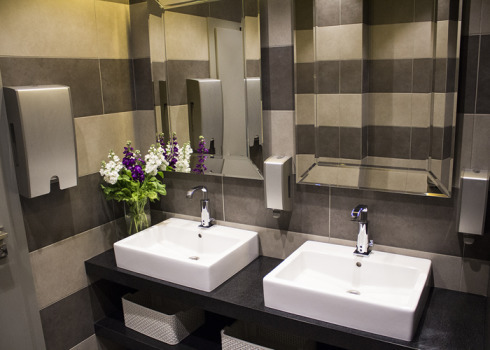 A good washroom experience will reflect positively on how your customers perceive your business. 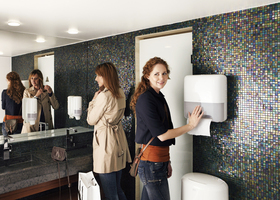 We offer a range of dispensers and refills to help you create the right impression. It's the close attention to details that make your guests feel at home in their rooms. Our products for personal hygiene, surface cleaning, and sanitizing can help your guests have a fresh, clean, and comfortable stay, every day.